Fifty-one dishes, y'all. I made 51 dishes from The Homesick Texan by Lisa Fain and it's only taken me 4 months to get around to writing the conclusion to that epic project. Talk about ending with a whimper. But I'm crossing it off the to-do list today, damn it. I'll keep it short and sweet: I loved The Homesick Texan. I picked it up after spending the fall cooking from a Syrian Christian cookbook followed by Burma, and while I love novelty and challenge, opening Homesick Texan was like getting off an 18 hour flight from Asia, stretching out on the sofa with a cold drink, and turning on Friday Night Lights. The book has flaws. Fain neglects to mention the size of pans in her dessert section (where it matters!) and seems to think that adding 1/2 teaspoon of Mexican chocolate to a gallon of chili could possibly affect the flavor. The recipes are not blazingly original and maybe not even original at all, as some Chowhound naysayers have suggested. But what great recipes are? People regularly give Marcella Hazan credit for pork loin braised in milk, but the dish appeared in Ada Boni's Talisman Cookbook decades before Marcella started writing. And who knows where Boni got it? Who cares? It's a living, breathing recipe, not a military code, and the further it travels the better. Right? Ah, but there are gray areas. I'm seeing more and more of them as I type. Much to say on the subject of recipe plagiarism, but I haven't figured out exactly what I think and in the interest of finishing this post I will do that figuring out later. 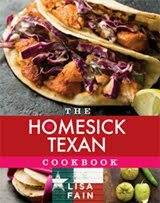 Last December when I first opened The Homesick Texan, I just wanted to eat delicious tacos, chili, and enchiladas, and the recipes inside helped me do that. The end. Shelf essential? If you've already have cherished recipes for Tex-Mex classics, you don't need this book. I don't and do. Last weekend, I made the carnitas recipe (by way of the Smitten Kitchen). I was not impressed at all, but not sure if I did something wrong or if my pork shoulder had been in the freezer too long or what. The texture was mushy and the flavor bland - the way everybody freaks out about her carnitas, it was a big disappointment. Kind of like you said about the Mexican chocolate in the chili, it seemed like the amount of seasoning in "enough water to cover" would be hard to detect in the final product. So my question for you is, am I crazy or did you post about the carnitas recipe? I could have sworn you did, but my search of your posts turned up empty. I thought I posted about carnitas -- I certainly made her carnitas. I thought the recipe was great, but so many variables come into play when you're cooking something like that. Maybe it was the pork, maybe it was the seasoning, maybe we have different taste in carnitas? I bought Fain's book, and I do like it, but there was nothing to rave about from my perspective. I need to try the skirt steak. I would like a post about plagiarism and recipes. Are there really an original recipes? Aren't there just combinations that have been previously done and rediscovered? Hasn't someone somewhere done everything possible by now? You have given me food for thought! I think there are original dishes -- like just about every dessert in the Milk Bar cookbook -- but not that many. 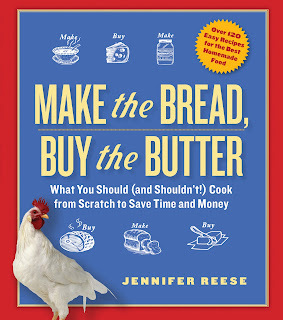 My question is: isn't the point of a recipe, original or borrowed or adapted, to be disseminated as widely as possible? Preferably with credit, of course, which people don't always give. The machine was put together by Romano on top of a 6 365 days timeframe. That RISN strategy prada replica most suitable core capabilities and a frequent cheap emissions analyzing, in conjunction with a truly favorable rate. The fresh new Romano shot products belongs to the small amount of products right now which you could order that could be ideal for associate without any subsequent complications of that computing devices in the EURO-4 locomotives. Unquestionable uniqueness is definitely the unique quiet LPG-injectors. LPG Conversion rate. The manipulation in LP Propane gas Conversionis basic though should end up undertaken as a result of a powerful UKLPG-approved yard. Every sanctioned workers will have to be for sure the perfect chanel replica bags outlet being used for one's truck and will carry through an important LP Propane gas Conversionaccording to help you safeness, green consequence, consistency and even low cost. You have to contain vital house in the LPG casual -- which are generally added with the trainer with the truck, usually with the additional car clearly. That dashboards will likely be included along with a apparatus enabling you to go around LPG and even chanel replica handbags, even while that refueling time can be used outside the pre-existing oil refueling time. There's a lot of UKLPG sanctioned LP Propane gas Conversions centres within garages on the ENGLAND. LPG Conversion rate. Concerning save your valuable bucks at supply and even trimming co2 emissions there are actually selections to help you pricy electric power and even amalgam possible choices. With the lift in best rolex replica manufacturing electric power trucks, tested and even relied on autogas potential was created with the go designed for unique know-how. Performing one truck at LPG makes for a small reduction in potential and even 10% decline in mpg. Then again considering the fuel personal savings, that performing bills can be around 40% under what at fuel. Not a single thing precisely designed around twice supply process in support of highly any variation through top cartier replica watches around fuel and LPG which will travel mainly not noticed, nevertheless LPG combustion is without a doubt just a little quieter. Is there an easy way to search for what recipes you think are great? I just bought this cookbook, mostly because I loved the green chile posole. I'd be curious to see which other ones you thought were best.